Aluminum compounds form plugs within sweat ducts that stop the flow of sweat to the skin’s surface. Some research suggests that aluminum-based compounds may be absorbed by the skin and cause (hormonal) effects. 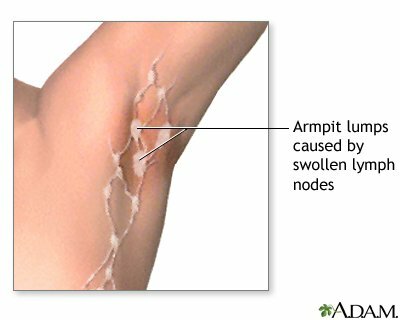 The picture below shows how the lymph nodes trail to the breast tissue. The pic above lends to the though that the antiperspirant chemicals can and do travel down to the breast tissue. This product was $8.99. Schmidt’s brand claims its products to be cruelty-free, vegan and gluten free. It’s made in America (which is GREAT). Here are a few more facts about this particular product. This deodorant also claims to have antioxidant and antiseptic properties!!! The smell is amazing to me. I chose this particular scent because I love the calming properties of lavender. Lavender is known to treat anxiety, insomnia, depression and restlessness. 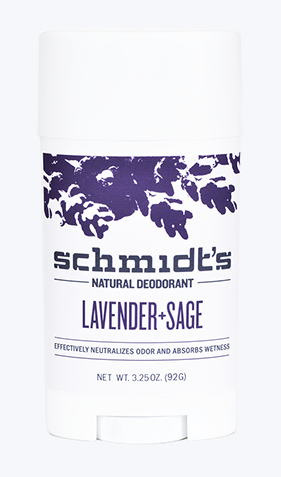 Schmidt’s has several different scent from which to choose. I am thoroughly happy with my purchase. I am so happy I made the switch. It took getting used to actually sweating and having sweat stains but I know I am making a healthier choice for my body. There are tons of other companies offering natural alternatives to antiperspirant, choose which one works best for you. Learn more about Schmidt’s by visiting there social media on Instagram and Twitter. Have you made the switch to deodorant only? If so comment below? I tried Schmidt’s for the first time a few months ago. It definitely keeps odor away but once it got hot, I couldn’t deal with the wetness. Perfect for fall/winter, but I can’t deal in this Georgia heat with sweaty pits.